2019 Summer Camps (@ Ho-Ho-Kus location) Pre-Summer Nationals Camp. June 22-26th Suitable for competitive fencers of ALL levels in preparation for the Summer National Fencing Championship (June 28 – July 7, 2018). HOURS: 10am-4pm PRICE: $300 Bergen Members or $70 Daily (June group classes paid) $400 Bergen Members or $90 Daily $500 Non-Bergen Members or $110 Daily 2ND CHILD 20% DISCOUNT; 3RD CHILD 30% DISCOUNT ONLY FOR FULL SESSION PAYMENTS ** NO CHANGES/RETURNS/CARRY-OVERS ARE ALLOWED ONCE THE SESSION STARTS Beginners/Intermediate Camp. July 8-12th Good opportunity to start or improve your skills in fencing. Suitable for beginners and intermediate level. Field outings, general fitness improvement. Footwork, drills, free bouting. Private lessons available upon request. HOURS: 10am – 4pm (extended hours 9am – 6pm upon request) PRICE: $350 Bergen Members or $70 Daily $400 Non-Bergen Members or $90 Daily 2ND CHILD 20% DISCOUNT; 3RD CHILD 30% DISCOUNT ONLY FOR FULL SESSION PAYMENTS ** NO CHANGES/RETURNS/CARRY-OVERS ARE ALLOWED ONCE THE SESSION STARTS Bergen Fencing Club International Camp. August 5-9th Join Cadet, Junior, Senior National Russian Team. 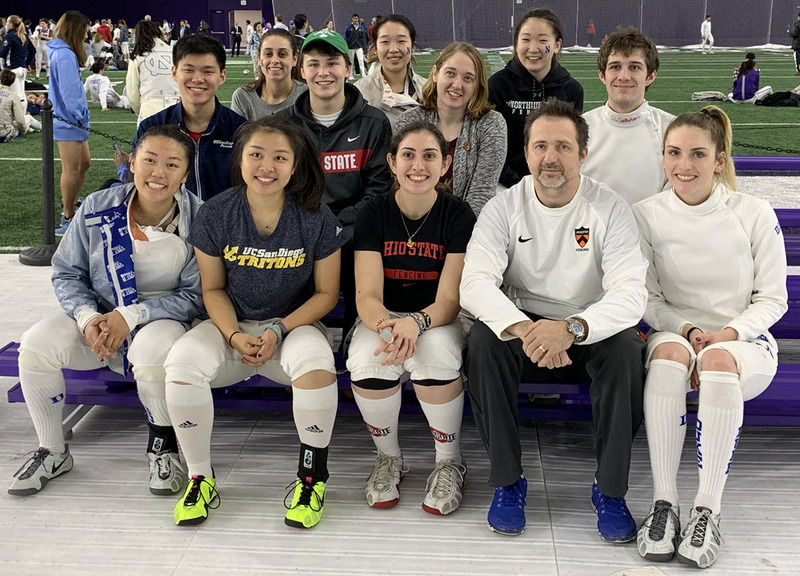 Special guests include: Coach Alexander Panteleev Fencers: Alexandra Shatalova, Milena Ilyina, Svetlana Karelova, Daria Beliaeva, Ekaterina Malysheva, Dmitriy Nasonov, Sofia Varlataya, Sofia Mamina and more. 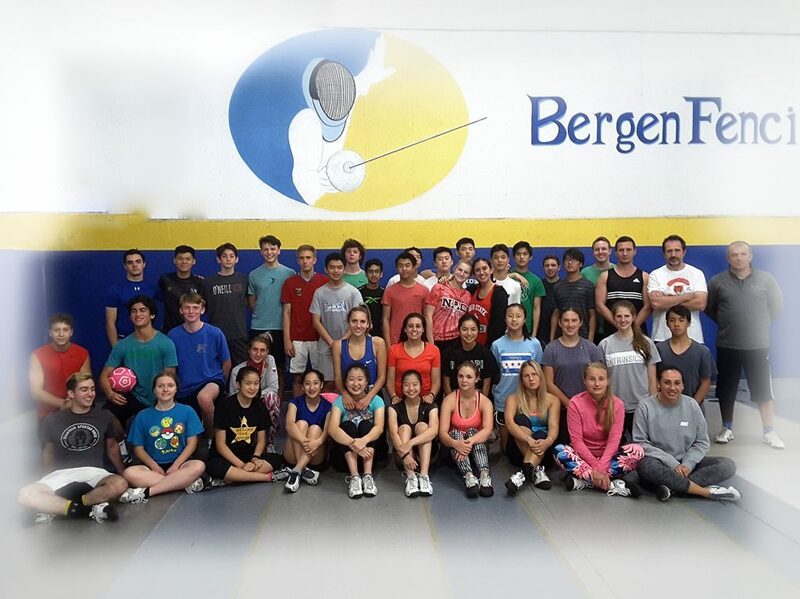 We are also hosting the Bergen Saber Open Tournament on August 11th. HOURS: 10am-4pm PRICE: $500 Bergen Members or $110 Daily $600 Non-Bergen Members or $140 Daily Elite Camp. August 26-30th Conditioning, footwork, drills, bouting. Private lessons available upon request. HOURS: 10am-4pm PRICE: $450 Bergen Members or $100 Daily $550 Non-Bergen Members or $120 Daily Open Bergen Preseason Practice Camp. August 26-30th. Second during this summer Beginners/Intermediate Camp for ‘E’ rated and Unrated fencers. Another opportunity to start/ improve your skills in fencing. Field outings, general fitness improvement. Footwork, drills, free bouting. Private lessons available upon request. HOURS: 10am – 4pm (extended hours 9am – 6pm upon request) PRICE: $350 Bergen Members or $70 Daily $400 Non-Bergen Members or $90 Daily 2ND CHILD 20% DISCOUNT; 3RD CHILD 30% DISCOUNT ONLY FOR FULL SESSION PAYMENTS ** NO CHANGES/RETURNS/CARRY-OVERS ARE ALLOWED ONCE THE SESSION STARTS 2019 International Summer Camps Riga, Latvia International Camp. July 11-21 The Camp is suitable for Elite, Advanced and Intermediate levels, 12+ yo. Coaches accompanying the group will be Oleg and Andre. Accommodation, food, practice and leisure time. 2-3 practices per day. Dorm is 10 walk from beach. Rooms for 2-6 people wi-fi Breakfast, Lunch included. Transportation airport – hotel, hotel – airport. Practice sessions twice daily, time for the beach trip and sightseeing will be allowed for. The cost would be $1000 plus air fare. We set up booking tickets deadline for May 15th and encourage you to give us conformation as early as possible for allowing best ticket prices. As we all know the prices go up as the booking day gets nearer. After the booking tickets deadline we cannot guarantee the best deal for the tickets and there is a chance that the flights booked later will be on the different time and airline from the rest of the group. If you have any additional questions or concerns send them to us by mail or call to office 201-251-1055 or Oleg 917-478-7431. What we need from you: Camp application form (Register button). Front page of passport of person who is going to be in camp and two checks: $1000 made to Golden Blade. $1000 made payable to Oleg Stetsiv Balance of the tickets price will be send later when we obtain them. Lignano, Italy International Camp. August 19-26th The Camp is suitable for Elite, Advanced and Intermediate levels, 12+ yo. The departure is August 18 and arrival August 26. Coaches accompanying the group will be Oleg and Andrew. Accommodation, food, practice and leisure time. 2-3 practices per day. Access to the beach. Breakfast, Lunch, Dinner included. The cost would be $1300 (including hotel, 3 times food, shuttle from airport to hotel and hotel airport, trip to Venice) plus airfare. What we need from you: Camp application form (Register button). Front page of passport of person who is going to be in camp and two checks: $1000 made to Golden Blade. $1300 made payable to Oleg Stetsiv Balance of the tickets price will be send later when we obtain them. Deadline to obtain ticket with group is July 15th.